The arrest of Huawei’s Meng Wanzhou and subsequent detention of two Canadians is creating headaches for Canada. 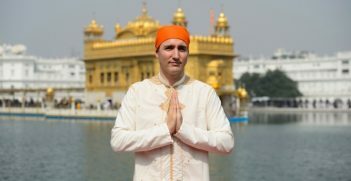 It has been a busy year for Justin Trudeau’s Liberal Party government: a calamitous India trip, a poorly-organised trade trip to China, a new NAFTA pact renegotiated at Canada’s expense, an anonymous Global Affairs Canada tweet that traumatized Canada-Saudi relations and now an extradition imbroglio with China over the arrest of a high-profile Chinese executive, Meng Wanzhou, at the Vancouver airport on 1 December. What has ensued is a parade of conflicting narratives. Ottawa insists that Canada was duly executing an international warrant issued by a US judge over Iranian sanctions violations. Several days after the Meng arrest, a Canadian diplomat on leave from Global Affairs and working at the International Crisis Group was detained in Beijng along with a second Canadian. As for Meng, she is presently out on $10 million bail and remains in the Vancouver area. The Chinese officially refuse to link the two Canadian captives with the Meng arrest. It was only a few days ago that the Canadian Embassy in Beijing was allowed consular access. Meng’s extradition hearing is scheduled for February 2019. In the midst of the crisis, American President Donald Trump appeared to muddy the waters further by proposing himself as a prospective mediator, who could free the ”hostages” and solve his own trade war with China. Suddenly, the trade issue reared its ugly head, much to the chagrin of the Canadians, whose narrative depends on support for ”rule of law” leading to Meng’s arrest. Trump’s injection of the trade issue raises significant questions about the real intentions the Canadian government. It was not as if there were no red flags surrounding the high-tech company, Huawei. Prime Minister Trudeau knew days before the Meng arrest of the impending crisis and had been warned by his Five Eyes allies, including Australia, of the invasive nature of Huawei’s research efforts and possible links to economic espionage. Huawei Canada has developed strong research collaboration with Canadian universities over the years and developed products in tandem. In Canada, the media has stuck to the Liberal Party narrative that Canada is caught between two giants and is only following the rule of the law. Here, one might question the timing of Canada’s action on an extradition warrant, especially when Iranian sanctions have no United Nations approval. Why not look the other way or contact Huawei Canada to prevent Meng from falling into the hands of Canadian border police? The Chinese argue that the Meng arrest is a blatant American initiative to harm China’s economy and reject the rule of law argument forwarded by the Canadians. It is rather an American coup de force and Canada folded as it did during the recent NAFTA renegotiation when forced to make concessions in agriculture to protect the automotive sector. Chinese security officials have justified the detention of the two Canadians on the grounds that they were engaged in activities affecting China’s national security. There are many companies around the world engaged in violations of the Iran sanctions. Why choose Meng and why Canada? First, there are no coincidences in China. The three arrests are linked. The corollary is also true: there are no coincidences in the conduct of Canada’s foreign policy. Rule of law is insufficient to explain what happened. 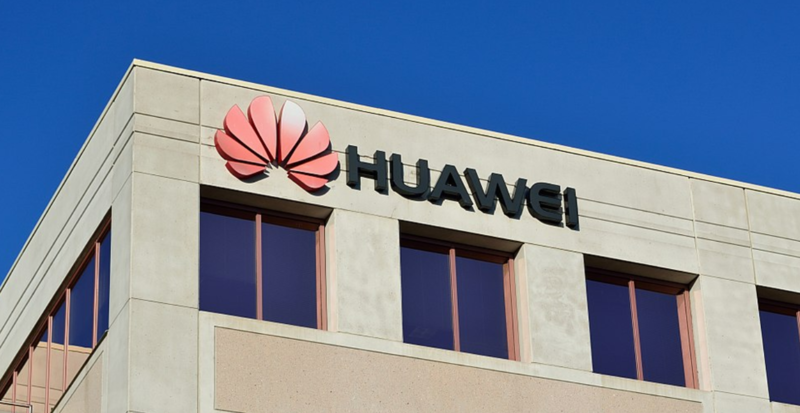 Trudeau’s reluctance to act against Huawei in spite of advice from the Five Eyes might find the beginnings of an explanation in the fact that Huawei Canada’s Vice-president is a former Liberal Party candidate and a strong supporter of Trudeau’s government. In addition, Huawei Canada helps to fund Canada 2020, a Liberal Party think tank. To ensure secrecy of the donors to Canada 2020, they are not required by law to divulge names since it is a “non-partisan” entity. Persistent investigative media reports indicate that this is not the case and a cursory view of the web site reads like a Who’s Who of high-profile Liberal Party supporters. Despite warnings from Five Eyes allies and advance knowledge of the impending Meng visit and the US extradition warrant, the Liberal Government did nothing. As for the two Canadians, both were involved in intelligence gathering in one way or another. One, Michael Kovrig was part of the Global Security Reporting Program foreing affairs officers. 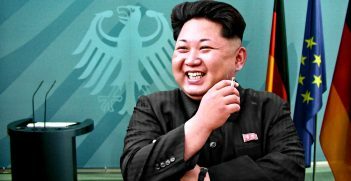 The other Canadian was involved in planning visits to North Korea. In both cases, the Chinese authorities can make a pro-forma case based on national security concerns. The Trump proposal takes the issue to another level of concern: trade with China. 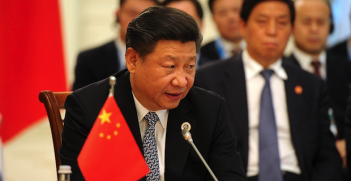 His proposal strengthens China’s case that Canada is serving Uncle Sam and US efforts to harm the Chinese economy. By using Iran as an excuse, Canada looks complicit in this effort. Avoiding the crisis would have been best but perhaps not in America’s interests. The Huawei imbroglio is part of a disturbing pattern in the recent elaboration and conduct of Canadian foreign policy. A pattern of neglect is developing, neglect that reflects the weakness of the Global Affairs Ministry and its ability to carry out a central agency role in Canadian politics. There is a disconnect between Global Affairs and the rest of the government, including Defense and the security services, which threatens to make this pattern worse. Was Global Affairs aware of the impending Huawei arrest? If so, why did Canada not choose to side-step the Meng imbroglio? If not, the disconnect has claimed two innocent victims in China and further weakened the foreign policy function of the government. 2018 has been a tough year which has compromised Canada’s bilateral relations with India, Saudi Arabia, China and the United States. Time may erase these foreign policy defeats but the Huawei crisis will last longer and be more difficult to resolve. Its effects will have far-reaching consequences for a Canadian economy riddled with tariffs on steel, aluminum and softwood lumber and hampered by a disastrous renegotiation of NAFTA. Postscript: Michael Kovrig, who is being detained in China, is a former GSRP colleague and friend. I fervently hope that the new year will bring his release and return to his family.